We offer a choice of facilities tailor-made to accommodate both your personal and business requirement stylishly and with aplomb. Whether you are hosting a private bash for a select few, throwing a birthday party for your child, conducting a motivational seminar for your executives or hosting a wedding/engagement reception, launching a product, you can rest assured that our superb yet discreet services will have everything planned down to the tiniest detail so as to ensure that the event comes through with flying colours! Menu options are endless, and our private banquet rooms vary in shape and size and can accommodate groups from 12 to 250 depending on room setup and your banquet requirements. 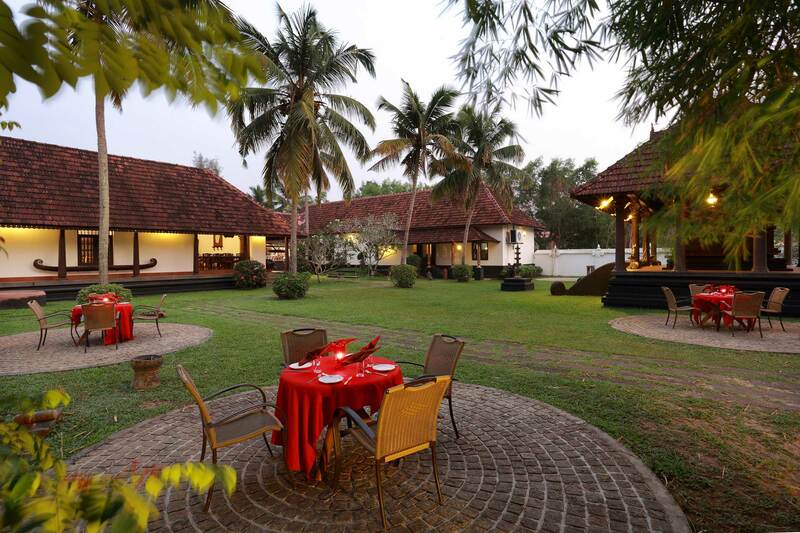 Located on the main road with ample parking facilities, our lawn is large get-togethers and wedding receptions can accommodate from 500 to 2000 Unparalleled hospitality, exemplary cuisine and perfect banqueting services will make your every special occasion truly memorable at The Travancore Palace Cherthalla & Karapuram village Resort Marrari. Ac/Non-Ac in-built rooms to cater cutomer needs at very nominal price and also arrange catering, hall decoration and entertainment programs and Nadaswaram if ordered in advance. In addition, we tailor bespoke events to individual client requirements as and when required. We offer a state of the art facility at prices affordable to all. 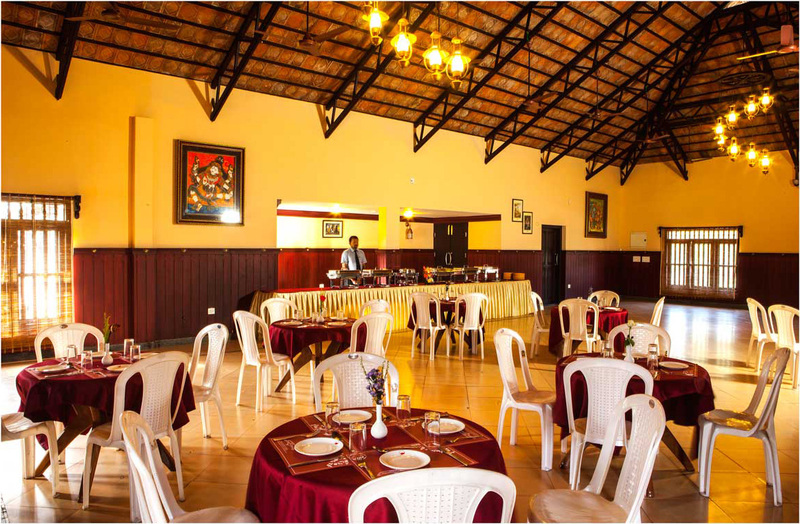 The experienced staff at Travancore Palace Hotel makes your special occasion stress-free, uniquely yours and everything you envision it to be. 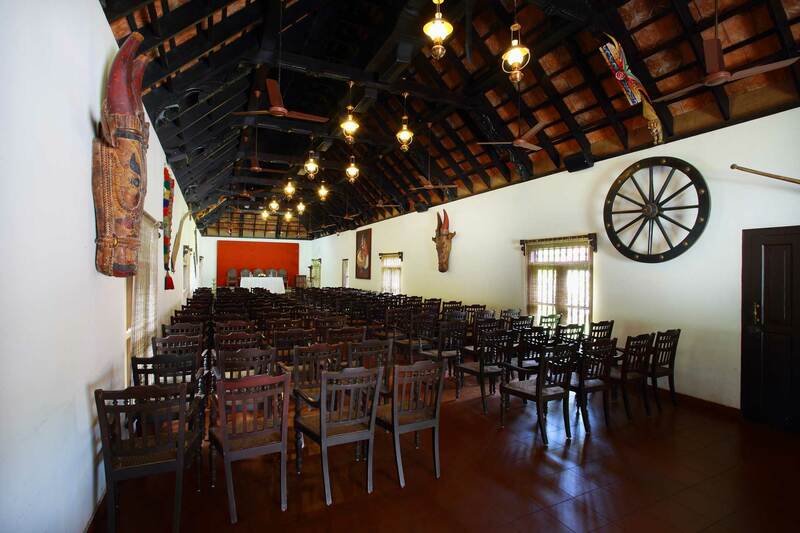 Maharaja a/c hall designed with the contemporary style of architecture, featuring elegant interior, acoustic ceiling &walls suitable for parties, meetings, banquets and so on. Maharaja can accommodate from 25 to 150 no: of guests. 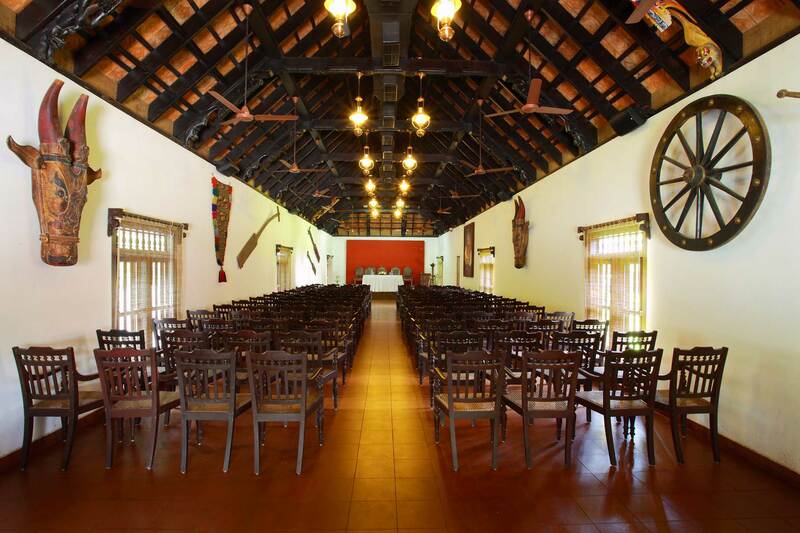 Open space with few coconut trees for decoration and most suitable for arranging evening parties and exhibitions. Small exhibitions can be even held in the open space .